Shiba Inus are known for their gorgeous coats. Shiba Inus are also known for blowing their gorgeous coats. All over the place, usually. Finding the perfect brush for your Shiba Inu will make grooming time much easier for both you and your Shiba Inu. There are many different types of dog grooming brushes available on the market today. They all serve slightly different purposes and some brushes work better for different coats than others. 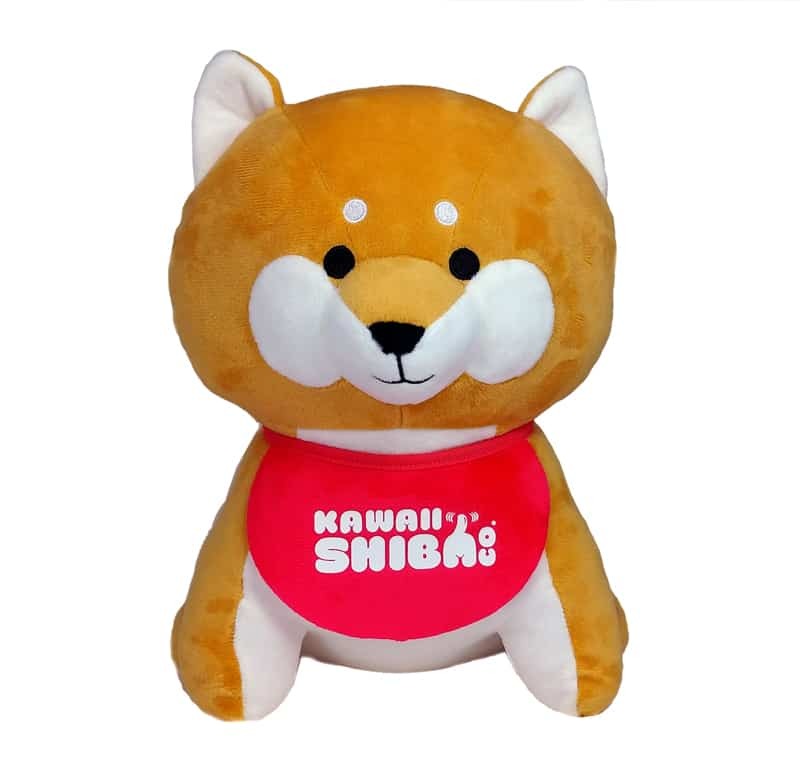 Shiba Inus are double coated with a soft plush undercoat and a coarser outer coat. Full shedding of the undercoat happens twice a year. 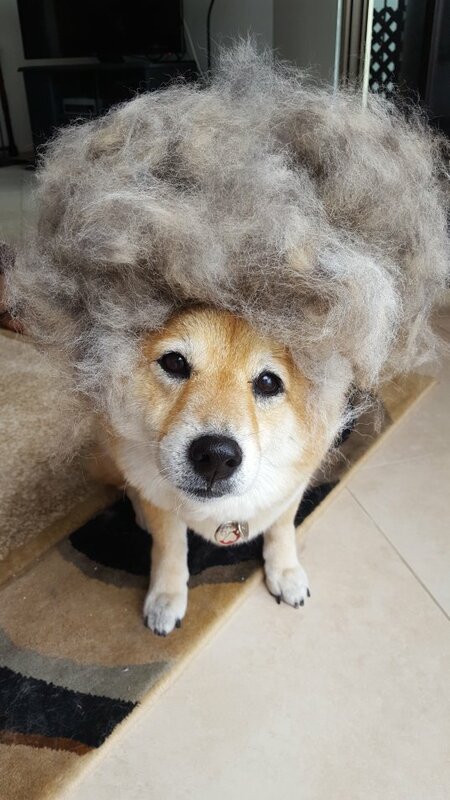 During this time, your Shiba will be shedding a lot and needs to be brushed more often than normal. 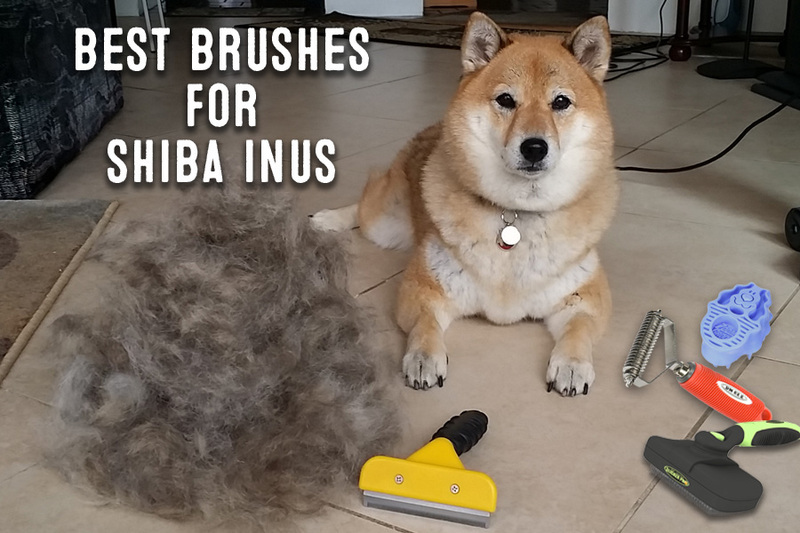 How Often Should You Brush Your Shiba Inu? Brushing your Shiba Inu's coat helps to keep the coat free from debris, dead skin, and trapped fur. Brushing also helps to stimulate the natural oils of your Shiba Inu's skin. Brushing is also a great time to get your Shiba Inu used to handling and routine. It's also a great time for bonding. If your Shiba Inu is not blowing their coat, brushing can be done once a week or every other week. If you have a longer coated Shiba Inu, you may want to increase the frequency of brushing. During Shiba Inu coat blowing time, you will need to brush a little more often. It would be best to have some good quality vacuums handy to deal with the extra fur that will be everywhere. What Kind of Brush Works Best For Shiba Inu Coats? For the plush double coat of Shiba Inus, a variety of brushes including slicker brushes, deshedding brushes, undercoat rakes, and pin brushes can be used. Different factors will determine which type of dog brush, dog brush combo will work the best for your particular Shiba Inu. Because Shiba Inus are known to be resistant to certain grooming procedures, you may find out naturally which type of brush your picky Shiba Inu prefers via trial and error. During times of heavy shedding, deshedding tools like the Furminator, slicker brushes and undercoat rakes work really well. Tools like shedding blades can cause damage to your Shiba Inu's fur and should be left in the hands of professionals. A deshedding tool like the Furminator is easier to use than a blade but also the more expensive option. For Shiba Inus, the best size for a Furminator is large. Using a deshedding tool also takes a bit more finesse to use compared to other traditional brushes. Extra care must be used to ensure that you do yank out healthy hair or hurt your dog's skin by brushing too hard. The best way to use a deshedding tool is to incorporate light and short strokes towards the normal direction of hair growth. Try holding a bit of your Shiba Inu's skin taut with your non brushing hand to get more undercoat out, while preventing good hair from being pulled. To make it even easier, you can start with a quick brush using a pin or slicker brush before proceeding to use a deshedding tool. Undercoat rakes are a popular option for getting to the undercoat of double coated dogs. Because of their longer brush tips, they will probably work better for Shiba Inus with longer coats. There is quite a variety of undercoat rakes available. Some have straight brush bases and tips while others are curved or even double sided. When brushing Shiba Inus with undercoat rakes, I find the ones with the curved, stainless steel tips very efficient for Shiba Inu coats. 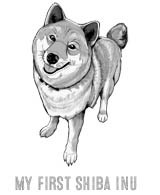 When your Shiba Inu is not blowing coat, you can use basic brushes like pin brushes or slicker brushes. These brushes are easier to use and have a less chance of harming your Shiba Inu's fur and skin. A lot of Shiba Inu owners also love using a Zoom Groom rubber brush for frequent brushing because it is easy to u​se and very safe. Another plus about this brush is that it can also be used when bathing your Shiba Inu. The only downside of this brush is that it is not as efficient in removing undercoat hair than the other choices. Also, when using this brush hair seems to just get everywhere in all directions whereas other brush choices will usually render the hair in chunks or secure in the bristles of the brush. Slicker brushes are great for frequent use as well as during shedding times. Slicker brushes have rows of bent wire pins that detangles and lifts up loose hair and undercoat. These brushes are easy to use and fairly safe for all types of coats - both short and long. A downside to this type of brush is that it can be quite difficult to remove the hair that is trapped in the tiny wire bristles of the brush. Fortunately, new slicker brushes with a self cleaning hair removal feature are now available. Pin brushes are good detangling brushes for medium to long haired dogs. They are very safe and easy to use. This type of brush is available with or without rubber tips. The rubber tips are preferred because it is safer for your Shiba Inu's skin. This type of brush can be used for quick touch ups or on places that are harder to reach for other brushes. The spread apart bristles of this brush make it ideal to use on sensitive areas of your Shiba Inu such as areas near the face or tummy. While most of the brushes in this article do a fine job in brushing your Shiba Inu's body, they may not work well brushing your Shiba Inu's face area. That's were combs come in. We love using "greyhound" style combs on our Shiba Inu's face. The curves and angles of your Shiba Inu's face make it a difficult area to brush, but combs do a good job. I also like using combs to brush my Shiba's facial area because I can be paranoid of accidentally pulling out a whisker. Combs are also great for finishing and fluffing your Shiba Inus coat after brushing. These style of combs are pretty affordable though they are some "upscale" ones that cost most more because they are made with more precision. The Slicker Pro ﻿﻿Self ﻿﻿Cleaning Slicker Brush is one our favorite slicker brushes due to it's durability and ergonomics. We use the large sized slicker brush for our Shiba Inus. The handle of this slicker brush is very comfortable to hold. The tiny wire pins of this brush do a great job in brushing the coats of our Shiba Inus. Of course, our favorite feature of this brush is the self cleaning hair removal feature. You just need to push the button and the trapped hair effortlessly lifts out of the brush. By examining the mechanics of this feature, it does seem that this brush feature will hold up quite well. Check the latest price of the Slicker Pro Self Cleaning Brush here. When used properly, the Furminator is one our favorite brushes to use when our Shiba Inus are blowing their coats. This brush really does a good job in getting to our Shiba Inu's undercoat during shedding time. Using this brush with the proper technique is essential for best results and to ensure you don't harm your Shiba Inu's coat or skin. The main precaution is to brush with light, short strokes and be very careful not to brush to hard. ​We like the durability of this brush as it is constructed with rigid rubber handle and quality stainless steel blades. Some people mention that the blades may wear out over time but we still use our first Furminator that we bought nearly seven years ago. The hair ejection feature is nice but not really necessary as it is pretty easy to get the trapped hair out of the bristles with your free hand. If you can find a Furminator without the ejection feature that is cheaper, I would go with that option. However, it has been a while since I have seen those available. Check the latest price of the Furminator Deshedding Tool here. Undercoat rakes come in a wide variety of sizes, shapes, and features. We like this Easy Pet Grooming Undercoat Rake because the size and spacing of the "teeth" work really well for our Shiba Inu's coats. Check the latest price of the Easy Pet Grooming Undercoat Rake here. Pin brushes are great everyday brushes that are easy to use and safe. They are also the most affordable type of dog brushes. We like this particular model because of it's sturdy handle and brush pin count. The pins on this model is coated for extra comfort and safety for your Shiba Inu's skin. Pin brushes do not do a good job in removing undercoat but are used instead for frequent use and touch ups. The coated tips of this brush work well for massaging your dog's skin to increase circulation and oil distribution. Technically speaking, pin brushes for dogs are practically the same as "wet" brushes for humans. So if you have a spare wet brush around, feel free to see how it works on your Shiba Inu's coat. If not, check the latest price of the Andis Pet Grooming Pin Brush here. The Zoom ﻿﻿Groom is another option for an everyday brush for your Shiba Inu. Made out of rubber with large widely spaced "teeth", this brush is safe and easy to use. The main perk of this brush is that it can be used either wet or dry. It can be used during bath time to lather and spread suds as well as massage your Shiba Inu's skin. One of the con's of the brush is that during dry brushing hair seems to fly everywhere in all directions. Also, because of it's looks and material, your Shiba might think it is a toy and chew it. Check the latest price of the Zoom Groom here.